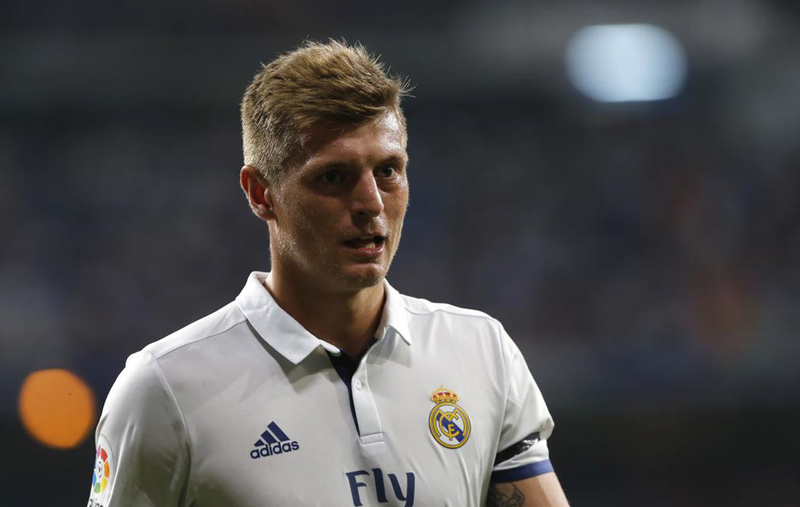 One of the most sought-after players in this summer’s transfer window, Toni Kroos looks to pen a new contract with Real Madrid, with initial talks being held between both parties in the coming days. Earlier this summer, Manchester City coach Pep Guardiola attempted to lure the German midfielder away from the Estadio Santiago Bernabeu, but the 26-year-old quickly quashed those rumours, a gesture that didn’t go unnoticed behind the scenes at Los Blancos. The player’s current contract is set to run out in 2020, but the club are looking to keep him until 2022 or 2023, paying him a salary right under that of top-earners Cristiano Ronaldo, Gareth Bale and Sergio Ramos and roughly on par with that of Luka Modric, who is also set to renew shortly. With international break wrapping up soon, the Real Madrid directors look to get back to work and use the coming weeks to secure some of the squad’s most important players to longer-term deals.